This is a sign I painted for a friend- a surprise for his wife. The wood is a thick slab of mahogony- it's quite heavy! 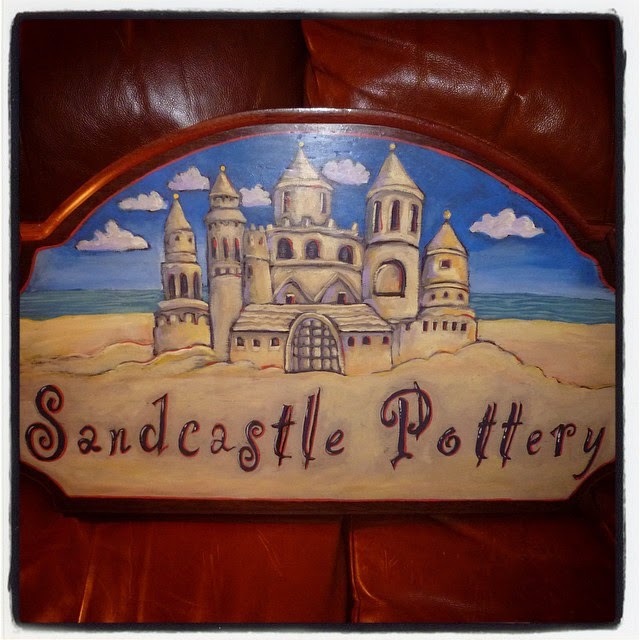 Michele's pottery business is taking off and I am happy to be a part of it!